Welcome! I am hoping that by clicking on to my website you are on the first step to achieving that goal, deal with stress, anxiety or depression, coping with grief or a phobia, to name but a few issues that we all have to deal with at some point in our lives. My name is Amanda Clarke, I’m 43 years old, married with two children and two dogs, living in Devon. Sounds perfect doesn’t it, but like all of you, I have had mental struggles myself that has led me to retrain and help other people on a sometimes very unpredictable sea. Let me tell you, we are all on that sea, just in different boats! My home town is Cheltenham and myself and my husband had been searching for that perfect “life balance”. With both of us in professional roles and being parents at the same time, it was all too much causing a strain on our family unit. We looked for our little slice of “Utopian” life in France, we both took on the job as property agents in Saumur in the Loire, leaving the “rat race” behind. At that time we had my eldest daughter, who was 3. It was a massive decision to leave our jobs, sell our home and move into a very different culture and way of life. As you are well aware, “Utopia” doesn’t exist, and we soon both realised (although our business was very successful) the French lifestyle wasn’t for us, so we moved back to Cheltenham, living with my husband’s parents until we found somewhere to live. This was a very stressful time, with us both going back into full time jobs and re-joining the professional workforce, and putting little Issy back into full time childcare. We got back to our lives, working long hours, having another child, buying our dream house and keeping our heads above water, never giving up that one day we would find our “balance”. One stressful mid week day, my husband came home and said he’d been offered an opportunity in Devon. We put our house on the market, it sold that weekend, surely that was a sign we were doing the right thing? 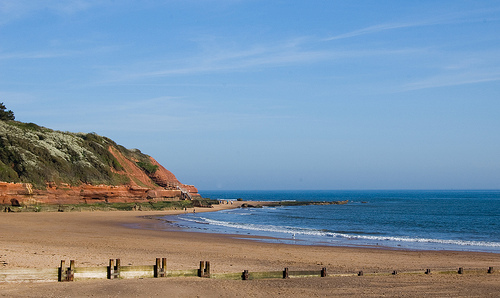 We then started the search for our little piece of sea side life, and have settled in the beautiful town of Exmouth. We had to make friends, settle the children, make a home and all the other constraints you face when moving away from your home town. I had to retrain in order to find a role that would fit in with our children and my husband’s long hours, so back to college I went, I haven’t stopped retraining, focusing now on mental health and life coaching. All this was did put stress on our family and that’s were my passion for Mental Health began, trying to keep myself, husband and children on the right path. The sudden death of my father led me to seek treatment and without those coping strategies, I don’t think I would have ever dealt with my grief and guilt felt after his passing. This is why I am passionate about helping people with bereavement and loss because I’ve experienced that journey myself. Once we had settled in Devon, I started working with children in schools, noticing that there were was support for extreme cases of learning difficulties but mental health wasn’t really an area that was being addressed. We had children dealing with loss, illness, fostering, abuse, anger to name but a few distressing issues the children were facing. This would then impact “grown ups” in these children’s lives, how were they coping, in their jobs, family and socially? So as a qualified Life Coach, Cognitive Behavioural Therapist and Hypnotherapist, I’ve made it my goal to help families and professional people find their way again. I always look at my clients as a different piece of art, different interpretations of the world whether they, visualise their thoughts, feel their thoughts or hear their thoughts, each person will be treated in the right way, to how they see their world. “When was the last time you felt fantastic?”………….. If you can’t answer that, then you are not living the life you deserve. What are you waiting for…..let’s get your life on track and find those smiles.